"I am a culture specialist. I teach doctors and their teams how to cultivate a happier, healthier and higher performing service culture. We focus on how to become better leaders, communicate positively and effectively, work together better and deliver service with more passion and focus which ultimately result in growing their practice. " Are you ready to provide a customized, enlightening, empowering and energizing 1/2 day or full day program for your referring doctors and their teams? Gift seminars qualify for AGD PACE continuing education credit. Ask me how! 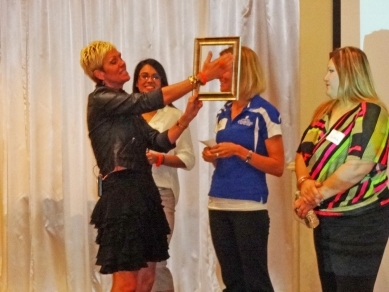 Why Offer A Custom Gift Seminar?
" Our oral surgery office originally met Judy Kay at the 2015 AAOMS meeting in Washington D.C. We loved her energy and her positivity so much that we invited her to be the guest speaker for the yearly meeting we provide to our referring dentists. She delivered a heartfelt, impactful message and made many more fans here in Oklahoma City. We appreciate all she has done for us and would strongly recommend and encourage any office in need of a motivational boost to put their confidence in Judy Kay." We were given the opportunity to arrange CE for our team and immediately thought of Judy Kay. We wanted all our team to experience her positive energy by having her come speak not only to us, but our referring practices. We received great feedback from all who attended Delivering W.O.W. Service! We appreciated everything she shared and would highly recommend that anyone attend her presentations or better yet, invite her to speak in their community. What Is A Gift Seminar? Are you ready to harness the power of passion, joy, and celebration to raise job satisfaction, patient service and the bottom line of your referring doctors and their teams? I Want To Gift The Power Of Passion! Judy Kay Mausolf is a speaker, author and dental practice culture specialist with expertise in helping others get happier and more successful! 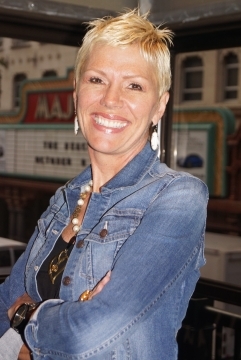 Dental Practice Management Coach, Inspirational Speaker, Author & Culture Specialist!